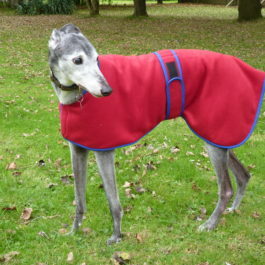 The Outhwaites coats are specially cut for greyhounds – they are warm, waterproof and very good quality. 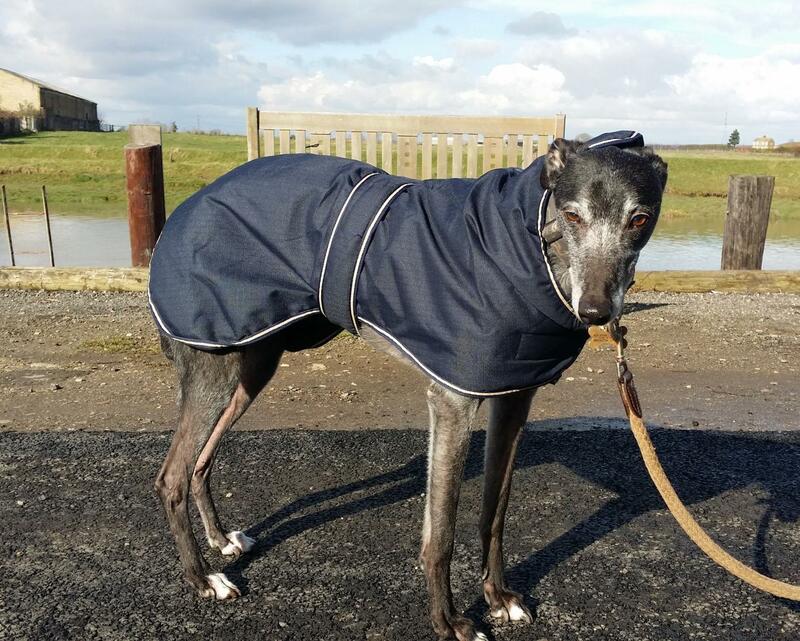 The greyhound coats are made of heavy duty 600 Denier fabric and are waterproof, windproof and breathable. 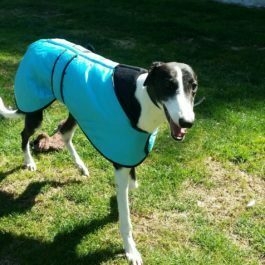 All the coats feature a padded neck cover for extra comfort. All coats are machine washable (wool wash). 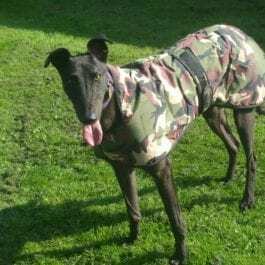 The coats have a slot for the lead to come through.